The main event of this week’s episode of Raw saw Seth Rollins taking on Drew McIntyre after McIntyre attacked both Roman Reigns and Dean Ambrose on last week’s episode of the show. However, things didn’t go as Rollins may have planned and thanks to an interruption from Brock Lesnar, the Scottish Psychopath was able to defeat the Architect. The segment didn’t end there as after Lesnar went backstage and the show went off air, Kurt Angle’s WrestleMania opponent Baron Corbin came out and tried to attack Seth. 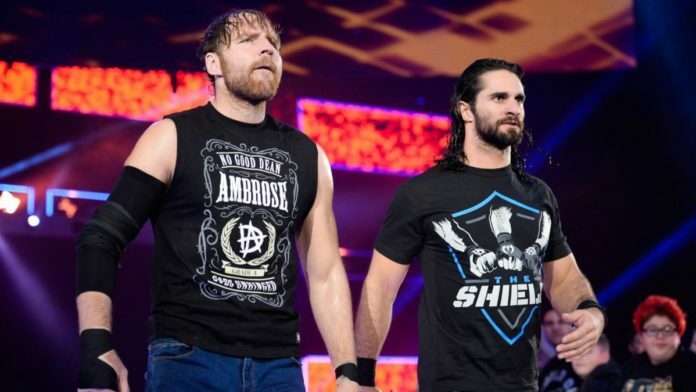 Though he wasn’t successful as Dean Ambrose who wasn’t part of this week’s episode of Raw made the save and both the Shield members then hit their finishing maneuvers on the Lone Wolf. Seth Rollins is scheduled to face Brock Lesnar for his Universal Championship at the upcoming WrestleMania PPV while Dean Ambrose doesn’t have an announced match for the show yet. On the other hand, Kurt Angle announced on this week’s Raw that Baron Corbin will be his opponent for his farewell match at the upcoming PPV.